Ukraine claimed that Russia opened fire on its navy ships in the Kirch Strait, a sea passage between Crimea and Russia's mainland, on Sunday, damaging one and escalating the ongoing Crimean crisis, per the AP. The big picture: The standoff led Ukrainian President Petro Poroshenko to convene his military cabinet. Russia earlier blocked access to the strait after it claimed Ukrainian naval vessels ventured into Russian waters. Ukraine claims it gave Russia advance warning about the movement of its navy ships. 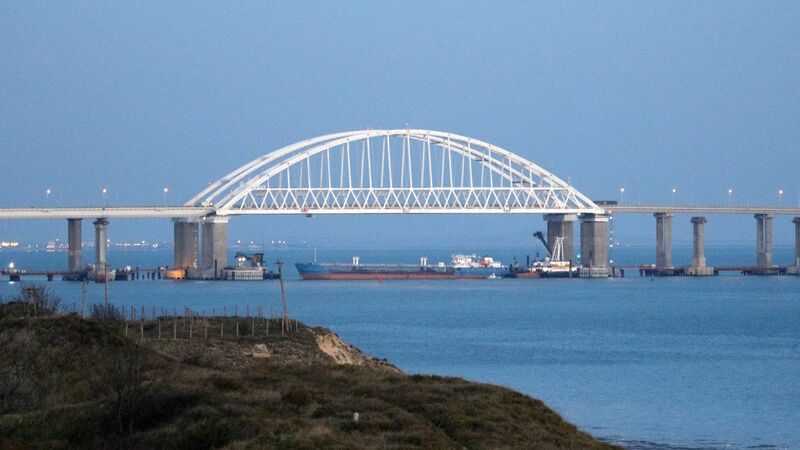 Russia's blockade of the strait with a tanker effectively cuts off sea access for Ukrainian cities that lie on the Sea of Azov, reheating the geopolitical crisis that kicked off with Russia's annexation of Crimea in 2014.